Thus begins H.G. Wells’ The Island of Dr. Moreau – one of the most disturbing and, at the same time, profoundly interesting science-fiction novels I’ve ever had the pleasure of reading. The protagonist, Edward Prendrick, miraculously survives the wreck of the Lady Vain, and soon finds himself stranded on an isolated island. It is on this island that he meets Dr. Moreau, a prominent scientist banished from England years earlier. Prendrick soon learns that Moreau, along with his profane assistant Montgomery, is conducting a series of experiments. Using vivisection, they are changing beasts into man-like creatures. Events take a sharp turn when Moreau is unexpectedly killed by one of the gruesome hybrids he worked so hard to create. 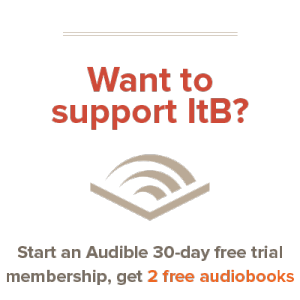 Now alone, save for the unhinged Montgomery, and Moreau’s hostile creatures, Prendrick must find a way of escape from island before time runs out. Wells often wove social commentary, overtly or subtly, into his novels. And while such commentary exists in The Island of Dr. Moreau, it is more of an undercurrent than a theme. Wells’ primary theme in Moreau is the de-evolution of man. After all, in the mind of an ardent evolutionist such as Wells’, if mankind can evolve “up”, why shouldn’t he just as easily evolve “down”? I’ve read other fiction by Wells’, but Moreau is by far the most fascinating. There’s so much in it that merits careful consideration. What happens when man tries to “play God”? What is the difference between man and beast? What happens when the pursuit of science trumps ethics? How is Wells’ idea of de-evolution similar to the Christian doctrine of human depravity? How is it not? All very interesting stuff to think about – especially in light of a Christ-centered worldview. The Island of Dr. Moreau is definitely a book I’d only recommend for older readers. It deals with very mature themes, and there’s quite a bit of disturbing, violent, and gruesome content. Don’t tackle this one if you’re squeamish or easily unsettled – it might give you nightmares. In conclusion, I’m not proposing that you read this novel and swallow everything in it piecemeal. Not at all. Wells’ had some very serious issues, both as a man and a writer, and his worldview was thoroughly pagan. None of his work should be read without solid discernment. 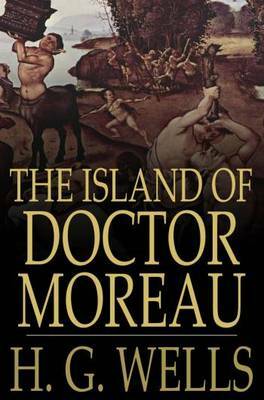 That said, I found The Island of Dr. Moreau to riveting, thought-provoking novel, and one well worth reading. It should be on the reading list of every sci-fi buff out there. @Sweetie Pie: I enjoy his stuff, too. The Invisible Man is probably my next favorite novel by him. Totally agree with you about Wells’ worldview, but I love his books, I have yet to read this one, thanks for the great review. @Michael: Thanks for stopping by! You’ll have to let me know what you think after you’ve read it.